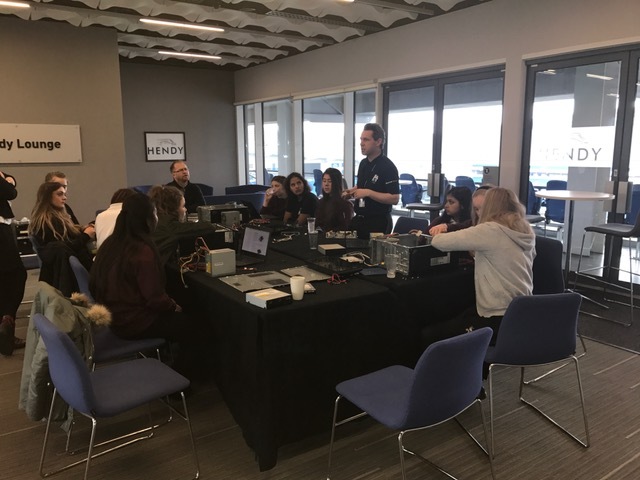 IT First hosted Code Girls at American Express Community Stadium this month with Burgess Hill Academy. Code Girls has been running since 2014 and the principal behind this is to inspire girls to explore technology and how this plays a big part in the world around them. The lesson starts off with our IT Manager Craig Hunt explaining what the lesson is about and what his day to day duties. Craig is the dedicated Engineer at the Brighton & Hove Albion and their Training Ground in Lancing. Following Craig’s speech, the pupils are set a target of dismantling a computer and trying to put this together again, whilst learning what each part of the computer is by using the Web to research each part from the Hard Drive to the Motherboard. The class has been popular with both the pupils, teachers and staff at IT First and it is great to see the pupils really take an interest in IT and understand that it’s not just a ‘boring’ job as quoted by one student. We are always welcoming new opportunities like this so if you want more details or would like to discuss further then please contact us and we will be happy to help.